Ready to Host a Screening of Above All Else? If you think 100-200 people from your community would come out for a screening, then sign up to host a screening in a movie theater, arranged by Tugg, by clicking here. 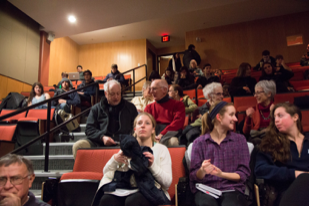 Want to host a community screening on a campus or at a non-theatrical venue? Tugg can help by providing you with a public performance license and DVD or Blu-Ray to do so! Click here to get started. If you have any questions, please contact Tugg at communityscreenings@tugginc.com or reach out to us. Tugg’s Promoter Walkthrough will guide you through the process of hosting a screening and getting the most out of your event. Sell enough tickets before the event deadline to confirm your screening. If you don’t meet this threshold, no one will be charged and your event will be called off. Sit back and enjoy the movie with your community.